While it usually takes more than a month to finish a kintsugi piece, Showzi has developed this lesson so we can experience the craftsmanship in the space of an afternoon. 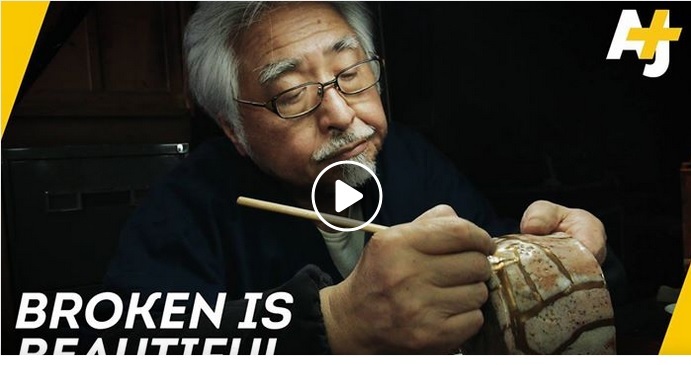 On day 1, we'll meet at Showzi`s studio and you'll experience hand in hand the basics of repairing ceramics using Japanese lacquer, Urushi, with traditional techniques and methods. 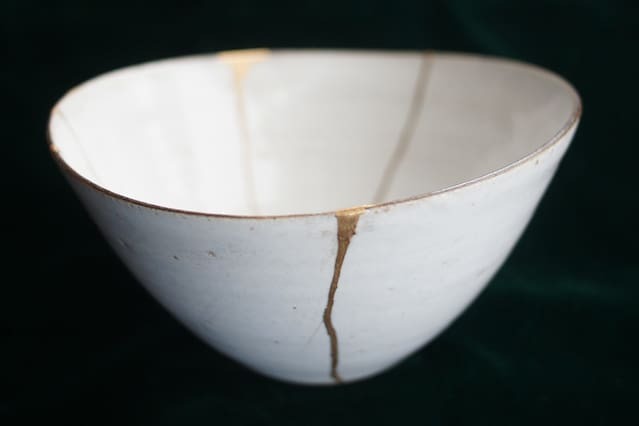 He'll also share with you the rich history and philosophy of Kintsugi. All necessary tools are provided. Includes ceramic cup which you`ll take home at the end powdered with 100 USD worth of gold. Japanese lacquer can cause allergic reactions if touched directly. We'll be wearing rubber gloves, but please let us know if you'd like to be provided with an alternative adhesive substance. 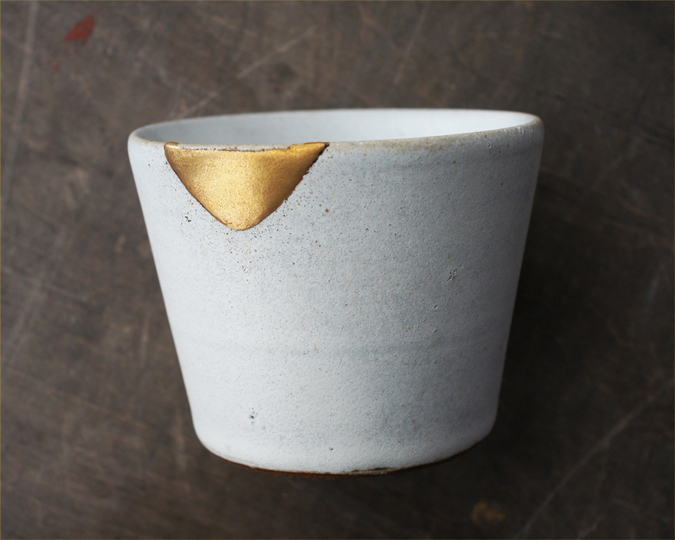 We will meet at Showzi's studio, Kintsugi Souke, where he works and teaches the art of Kintsugi. It's a very easy access from Shinjuku and Ikebukuro. 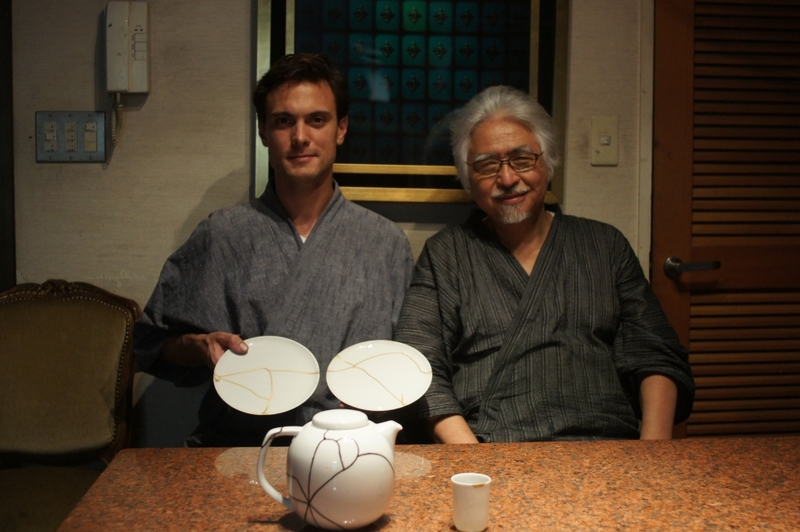 We'll work on the final touches and while our pieces bake again for the last time, Showzi will perform a Japanese tea ceremony where you`ll get to experience drinking Matcha from beautiful tea bowls that Showzi has done kintsugi himself. We will also cook and enjoy eating Japanese noodles and drink Japanese sake together using finished Kintsugi pieces. It'll be a great opportunity to ask and learn more in depth about the art of Kintsugi. By the end of the day, we'll each take home a finished piece of beautiful kintsugi pottery. Will be cooking japanese wheat noodles. If you have any allergies please let us know. Two different types of Japanese tea. 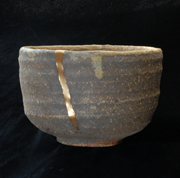 I'm an award-winning artist who has been practicing the traditional Japanese craft of kintsugi since 1972. My pieces have been exhibited in Paris and other international cities. While it usually takes more than a month to finish a kintsugi piece, Showzi has developed this lesson so we can experience the craftsmanship in the space of an afternoon. 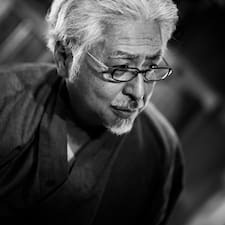 At Showzi's workshop, he will guide us through applying lacquer and 24-karat gold powder using the traditional techniques and methods. At the end, you will get to take home your own Kintsugi piece.